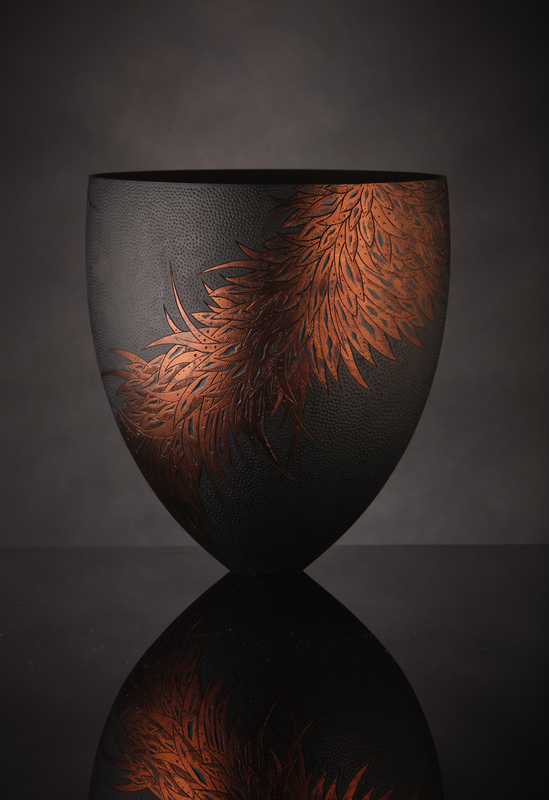 I am a designer-maker in wood, glass and ceramic based in the UK. For many years I specialised in the design and manufacture of glass vessels and panels and large ceramic installations, for both private and commercial clients. More recently though I have become fascinated with wood, particularly creating work from green wood, mainly open forms with detailed textures and carving.